Looking for the best way to get to Sin City from the Big Apple? Rent a private jet from NYC to Vegas with our on-demand private jet charter services! Whether you’re flying for business or pleasure, we’ll connect you to the perfect charter plane for your flight at the right price, with aircraft rentals available 24 hours a day across the New York City metropolitan area. Choose from a variety of airports for your departure, including Teterboro, Westchester County, Republic, MacArthur, or even LaGuardia and JFK International. We can also arrange ground transportation to bring you to your preferred airport, and small planes and helicopters for short hops across the Tri-state area. Call us at 888-987-JETS or email us for a free charter quote, and book your private flight from New York to Las Vegas with Jet Charter Vegas. 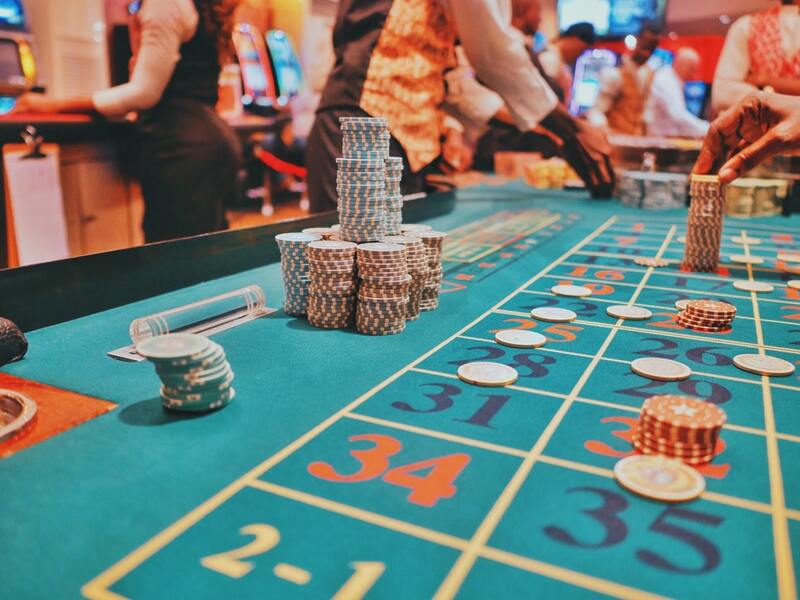 When arranging flights from New York City to Vegas with one of our brokers, you’ll gain access to thousands of private planes based throughout New York and the northeast. This includes deadhead jets and empty leg flights that need to return to their home airport in Las Vegas, and are available at substantial savings. Our no obligation quotes come with all-inclusive pricing, and no contracts, hidden charges, or membership fees. Simply pay as you fly, and get the best deal for every flight. And, we’re available around the clock for any last minute trips, or ASAP requests. Planning on flying private often? In addition to connecting you to the ideal plane for bespoke jet charters, we offer jet cards in 25, 50, and 100 hour memberships. Enjoy guaranteed rates & availability on a wide range of aircraft types, and take full control of your private air travel. Below are some examples of pricing for private flights from NYC to Vegas. For pricing and aircraft availability, including ballpark estimates and down-to-the-dollar jet charter costs, our brokers will be available whenever you need us. Midsize jets including the Challenger 300 / 350, Gulfstream G200 / G280, and Hawker 800XP are some of the most popular charter planes for private flights between Las Vegas and New York. Mid and Super Midsize Jets can seat up to 8 passengers comfortably, with plenty of room to move around the cabin. Seating arrangements will vary, and cabins often feature swiveling club seats, full length divans, and private bathrooms. Mid and super midsize jet travel is made even more convenient with external and internal luggage compartments. Planning the ultimate bachelor party in Sin City? Groups of 8 to 14 passengers can charter a long range jet such as a Gulfstream, Global, or Falcon for the ultimate VIP experience. Long range jets offer the most comfort, featuring wide, spacious interiors, standing room cabins, luxurious decor, and a smooth flight experience. These aircraft are also loaded with tons of amenities, allowing ou to start the party as soon as you take off from New York. Charter a long range jet from NY to Vegas, and arrive along the Strip in the utmost comfort and style. 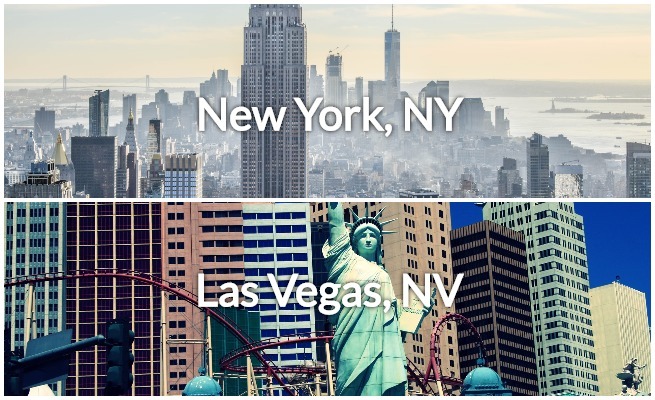 * Examples pricing based on previous flights from NY to Vegas. Prices are all-inclusive plus tax. Additional services (de-icing, catering, additional flight time due to weather or ATC, internet charges and/or ground transportation) billed separately. Prices and availability are subject to change. Pricing based on Teterboro to McCarron Airport. Additional NY and NV airports available. Choose from thousands of light, mid, and long range jets based in NY, including empty legs which can potentially reduce your charter cost by more than 50 percent or more! Request a free quote or give us a call at 1-888-987-5387 to book a private charter plane from New York, NY to Las Vegas, NV.